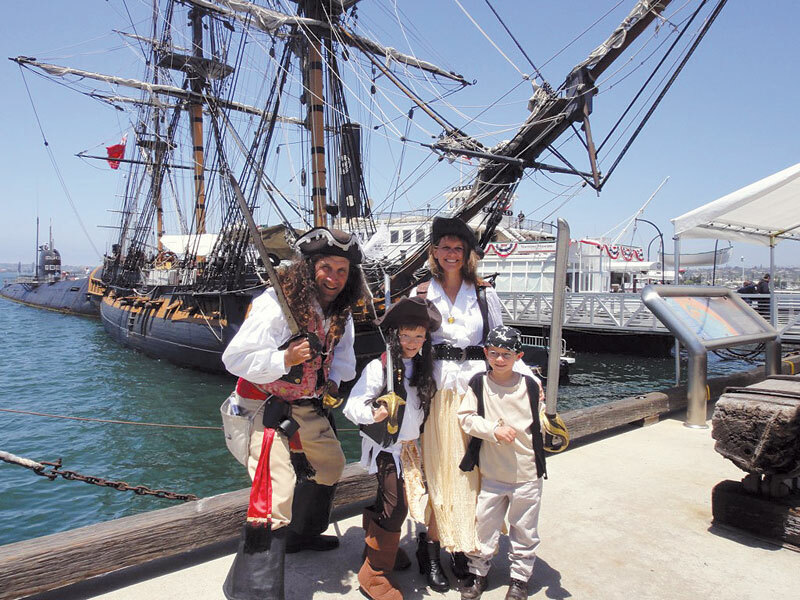 SAN DIEGO — The San Diego Maritime Museum has plans for a pirate party at San Diego’s North Embarcadero May 19-20. The two-day celebration — designed for kids — will include costume contests, carnival games, cannon firings, weapon demonstrations, sword fights, appearances by mermaids and a scavenger hunt for pirate treasure. Activities will take place from 9 a.m. to 4 p.m. Saturday and Sunday. Pirate Days attendees will also have an option to ride on the Treasure Seeker ship for a swashbuckling adventure at sea. Onboard performances will be at 11 a.m., 1:30 p.m. and 3 p.m.; and tickets are available for an additional fee. Seating is very limited on Treasure Seeker, and reservations are recommended. The cost for a trip aboard Treasure Seeker is $27.50 for adults and $17.50 for children 12 and younger. Also planned during the pirate party are 45-minute cruises on San Diego Bay aboard the Pilot boat. Rides will cost $3, plus the cost of admission. The museum is located on the North Embarcadero in downtown San Diego at 1492 N. Harbor Drive. For more information, call (619) 234-9153 or visit sdmaritime.org.